Don’t let the cold rains of winter discourage you. It’s always time for a beach trip. There’s no better place to begin than Pelican Brewing Company and its three Oregon locations. Sure, this state is brimming with beer-makers. But Pelican Brewing Company is the only one born at the beach, founded more than 20 years ago on the rugged North Coast. It’s a place where the locals don’t wait for summer to enjoy the sea and sand. The surfers simply wear wetsuits. Fog is your friend. Likewise at Pelican, a little rain never dampens the beach vibe. 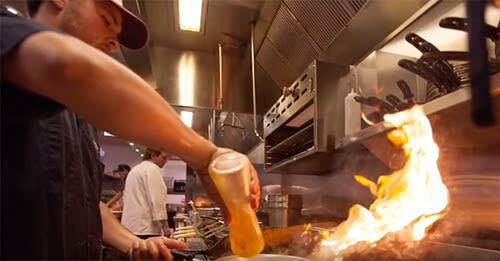 For this company, crafting great beer and delicious beer cuisine is not a seasonal pursuit. It’s what they do every day, all year-round, in three tucked-away towns on the Oregon shore. Start your trip at Pelican’s birthplace—the original pub and brewery in Pacific City, founded in 1996 and still the only beachfront pub in the Pacific Northwest. On your way in, say hello to Phil, the company’s avian mascot, whose affable image perches high above the door. Wander up to the bar for an award-winning ale, IPA, stout or pilsner. Or grab a table with friends and sample the menu filled with tasty food and thoughtful pairings. No matter what you order, your beachfront view will include pounding waves and windswept sands. Oregon’s largest Haystack Rock looms just offshore. A few steps away are the steep, copper-colored dunes of Cape Kiwanda. Want a challenge? Tackle the lung-busting climb up the nearest dune and be rewarded with a bird’s-eye view for miles. Or keep your seat inside and order another draft. Watch the fog lift. Stay for the sunset. As long as you’re there, consider tucking in for a restful night in Pacific City (after all, “peaceful” is what “Pacific” means). Three comfortably elegant options at various price points are part of the Pelican family, each ready to play host: The Cottages at Cape Kiwanda, Inn at Cape Kiwanda and Shorepine Vacation Rentals. After a night in Pacific City, take a brisk morning walk by the water, then hop in the car for the short drive north to Tillamook, where the Pelican Tap Room is waiting. 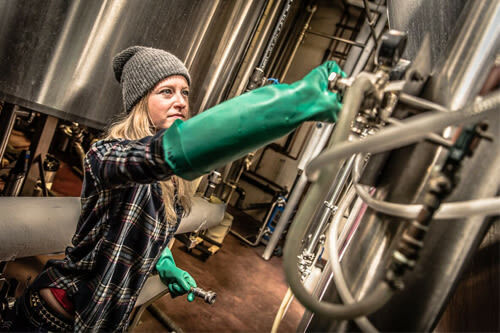 The casual, low-key taproom overlooks the floor of Pelican’s bustling brewery and production facility, which produces 25,000 barrels each year. 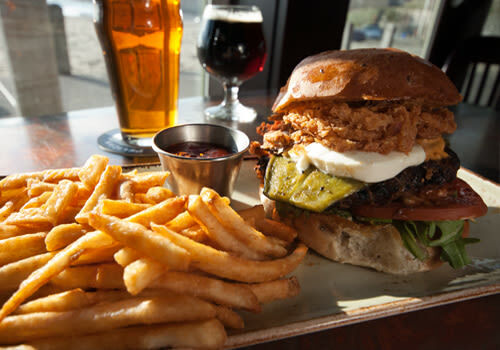 Just a few miles inland from the beach, the Pelican Tap Room in Tillamook is a cozy spot to play shuffleboard with the locals, watch the big game and try the famous elk burger—with a crisp pint, of course. Make sure to take the informative brewery tour before you head out. Finish off your beach-beer journey back on the water, with a final stop at Pelican’s new brewpub in Cannon Beach. Open since May 2016, it’s the latest addition to the Pelican family. Relax under soaring ceilings, kick off your boots on the polished concrete floors, and watch the flavors come together in the brewpub’s wide-open kitchen. The seasonal menu offers a range of beer cuisine favorites with 20 taps year-round, including small batch beers you won’t find anywhere else. Slow down a little. A giant tide clock keeps the only time that matters. If you can’t make it to the North Coast quite yet, you can still get a taste of the Pelican experience in most any craft-beer aisle. Choose from Pelican’s refined collection of six year-round beers and a new seasonal beer each quarter, plus specialty and small-batch brews. Tip a bottle back, close your eyes and imagine the forested trails and sea cliffs, the foamy white swells and soft sands. Then start planning your visit. We can’t all be born at the beach. But we can get there as often as we can. 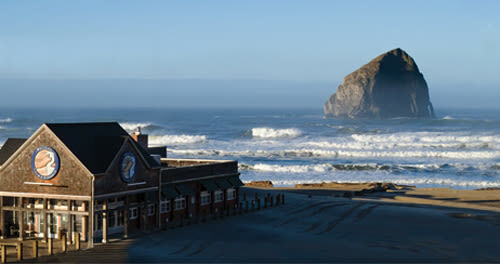 Discover more about Pelican Brewing Company, including a live webcam of the waves at Pacific City, at pelicanbrewing.com.